As Charles Schulz’s Linus character from the PEANUTS® comic strip was comforted by his blanket, Project Linus strives to do the same and more for children who are seriously ill, traumatized, or otherwise in need. The blankets our nearly 400 chapter coordinators collect from thousands of “blanketeers” (volunteers) across the United States and then distributed to these children provide love, a sense of security, warmth, and comfort. When Paul and Amelia were born they spent 2 weeks in the NICU. The first week and a half of that was spent in isolettes, little plastic baby bubbles where they wore only diapers and were hooked up to all sorts of beeping, buzzing, glowing machines. Once they reached a certain size and were able to take their food by mouth rather than tube they were moved into an open crib. When we walked into the NICU to find them in open cribs it was pretty much the happiest moment of my life. They finally looked like they were snuggly and cozy, just as babies are meant to be. Part of it was that they weren’t in their isolettes anymore, but a lot of it was that they were also covered up by beautiful handmade blankets given to them by Project Linus. Ever since that day I have had blanket making on my to-do list. It made me feel so comforted and loved to know that someone out there took the time and effort to make blankets for my babies. I knew I needed to do the same for someone else who was going through a rough time. Paul and Amelia actually still sleep with their Project Linus blankets every single night. 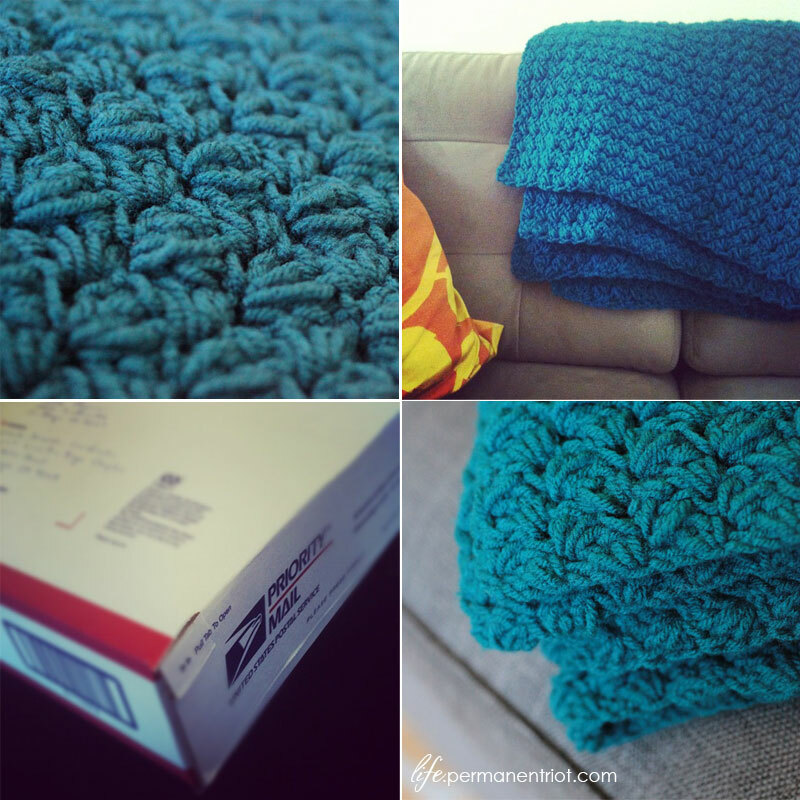 For those curious about the how-to on this blanket… it’s pretty much the easiest crochet project on the planet. All you need to know is chain, single crochet and double crochet. I believe it’s actually this shell stitch pattern from the Project Linus website, but almost all the shell stitch patterns I found were basically the same idea. Three cheers for finishing a project! One more item checked off my 30 by 30 list, hooray!